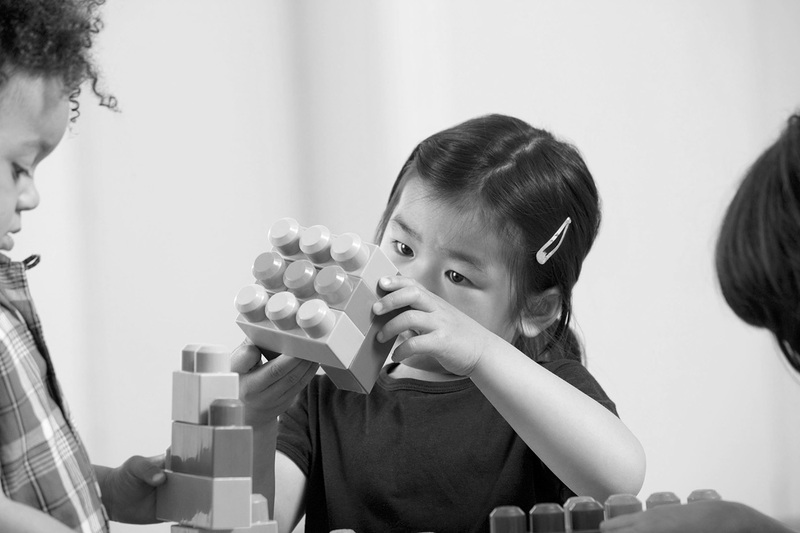 According to research, the difference in learning resources both within and outside the home for children growing up in low-income households and children from more affluent homes is associated, on average, with gaps in their cognitive development that can increase with each passing year–unless children have early access to high-quality learning opportunities. Preschool programs have the potential to help equalize what children have the chance to learn, preparing all children for success in the classroom and beyond and having a particularly powerful impact on children from low-income households. A wide body of rigorous research has found this to be true. However, political battles continue over whether and how to invest in preschool. Feeding the debates are evaluations of two programs—Tennessee’s Voluntary Pre-K program and Head Start—with mixed results for students as they made their way through elementary school, confusing policymakers and the public about whether investments in preschool programs “fade out” or make an ongoing difference for student success. To address the confusion, the Learning Policy Institute conducted a new study clarifying what the research’s evidence shows. Untangling the Evidence on Preschool Effectiveness, pulls together findings from the most rigorous contemporary evaluations, concluding the great weight of evidence shows that rich, engaging preschool programs make a substantial difference in preparing children for school and can help mitigate developmental gaps between children from low-income families and their more affluent counterparts before they reach kindergarten. LPI researchers reviewed evaluations of 21 public preschool programs and found that children who attend preschool experience substantial learning gains and are more prepared for school than children who do not attend preschool. The research shows investments in early childhood education bolster student success and have positive impacts on children’s early literacy, math, and, in many cases, social-emotional skills. Upon closer examination, LPI researchers found that both the Tennessee Voluntary Pre-K program and Head Start also prepare children for school—producing advantages at kindergarten entry for children who attend preschool, compared to those who do not. The so-called “fade out” of these program’s benefits later in elementary school can be traced at least in part to the way the studies constructed the comparison groups to whom preschool children were compared. In the Head Start study, many of the comparison group children still attended preschool–and some even attended other Head Start programs–so both groups had the benefit of preschool and showed gains in learning. However, when Head Start participants who would have stayed home if they had not been able to attend Head Start were compared to children who did stay home, it was clear those who attended preschool learned significantly more than those who did not have that opportunity. In the Tennessee study, the comparison group of children followed in elementary school was actually more advantaged than the group who attended the public preschool program–both older and more likely to be white and English-speaking—though these differences were not large enough in most cases to be statistically significant. Among this group, some students had also attended other preschools. This group making greater gains in math than the TN preschool group may be due to both home and school advantages associated with their characteristics. Other factors contributing to differential outcomes, according to additional research, include the quality of the preschool program and the quality of the early elementary instruction that follows. Tennessee’s preschool program meets only five of NIEER’s 10 minimum quality standards. And studies of Head Start have found that long-term effects are stronger when preschool is followed by better-resourced elementary education. Preschool programs demonstrating the strongest and most persistent positive effects in terms of achievement, school progress, and educational attainment invest in the essential building blocks of high-quality early childhood education, including teacher preparation, thoughtful curriculum, meaningful family engagement, and support for English learners and students with special needs. Elementary programs that sustain these benefits provide students with ongoing academic challenges that build on the child’s early learning. The evidence is clear. It’s time to move beyond the question of whether preschool “works” and focus instead on the more pressing question of how to design and implement quality programs that ensure public preschool investments consistently deliver on their promise. Quality doesn’t just happen. We must design it, support it, and continually work for it. Although high-quality preschool requires a sizable investment, the evidence suggests the returns at local, state, and national levels outweigh the costs. While any return that exceeds $1 for every $1 spent indicates that a program pays for itself, cost-benefit analyses show high-quality preschool programs can yield up to a $17 return for each dollar invested, when lifetime outcomes that result in contributions to society are considered. But policymakers don’t need to wait 20 years to reap the benefits of their investments in high-quality early education. Studies find that children who attend preschool are better-prepared for school and less likely to be identified as having special needs or to be held back in elementary school than children who don’t attend. Lower rates of grade retention and special education placements result in significant and immediate cost savings for school systems and society. School districts spend an average of $13,119 per child each year, a cost that doubles when a student is retained a grade. Retaining a child also increases the likelihood of future retentions, compounding the associated costs. In addition, the annual cost of providing special education services can be more than twice that of a general education program, and early identification of special needs—along with education addressing them early on—can reduce the number of years special services are needed, further reducing the overall costs to schools and society. Implementing a high-quality preschool program—offering compensation and supports that attract and retain a highly qualified workforce; providing adequate, productive learning time and activities; and using child assessments to individualize learning—is complex and often expensive. But there are examples of states who have done just that and are now reaping the benefits. We believe every child in America is worth this investment and that our society as a whole is lifted when each child’s foundation includes high-quality preschool. Beth Meloy co-leads the Early Childhood Learning team at the Learning Policy Institute. She is the co-author of Building an Early Learning System That Works: Next Steps for California, and her work focuses on policy and practice to improve early care and education opportunities for all children in California and nationwide. She previously worked in the Office of Head Start.